Matt grew up around the construction industry, with his father being a General Contractor. After earning a B.A. in Finance from Saint Martin’s College, Matt began work at American Pacific Supply, a local building supplier. 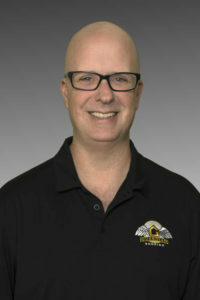 In 1997, Matt joined Thompson Roofing and by 1998 became the General Manager responsible for day to day operations. After years in the contracting industry, Matt joined Lori to form Guardian Roofing, LLC with the single goal of superior customer service. 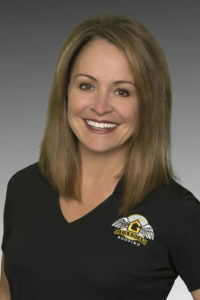 Lori’s career in roofing began at an early age, growing up with a family of Roofing Contractors. During High School and College, Lori worked at the family business. After earning her B.A. in Business Administration from Saint Martin’s College, she devoted a full time career to the family roofing business. From the early years of working on the roofing crews, customer reception, and production duties she earned the position of Office Manager and then went on to become the Vice-President of Thompson Roofing – one of the largest and longest standing roofing companies in the South Sound. Lori held the position of Vice-President while also serving on the Board of Directors of the Roofing Contractor’s Association for a 3 year term. This passion for the roofing industry and the opportunity to serve a wonderful community lead her to the formation of Guardian Roofing, LLC with her husband, Matt Swanson. If you are looking for a roof repair contractor please call us today at 844-499-7822844-499-7822 or complete our online service request form.